Specializing in leafspring traction enhancement systems for over 15 years, the Calvert Racing Team knows what it takes to get your car hooking harder than ever! With unsurpassed quality and craftsmanship, all competition is eliminated. Why settle for anything less than the original system that set the standards? 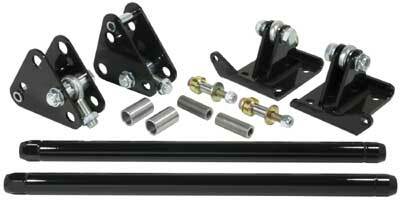 Calvert Racings CalTracs are the most innovative traction bar units today, often imitated, but never duplicated. If you have a leafspring car, we have a set of bars for you. From daily driven cars, to 8-second outlaw cars, this system is made to out perform.